Fresh drinking water is a guarantee with the Evolve 30-Day Filter from Aqua Optima 3-Pack. The Evolve Filter has a fast flow filter cartridge and a unique one of a kind 5 step filtration system. The Evolve 30-day Filter is compatible with Aqua Optima and Brita Maxtra. 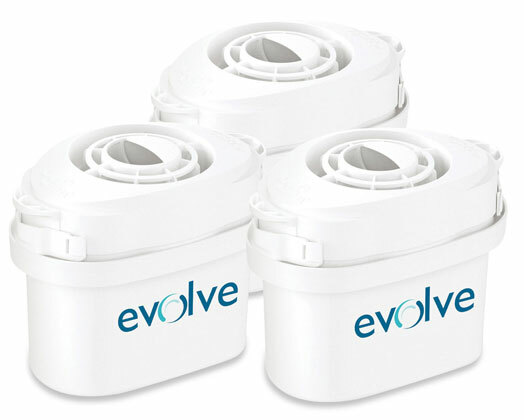 The Evolve 30-Day filter has a single life 30 day filter lifespan per Filter. 5. unique shape and structure ensures a consistent,fast flow rate.